I have a bad podcast about this. Pranks Paul, James D'Amato, Kat Kuhl, and Johnny O'Mara take a deep dive into Star Wars on behalf of wide-eyed new fans and longtime experts alike. nevertellmethepods.com. Welcome back to Never Tell Me the Pods!!! We're so excited. James, Johnny and Pranks talk about viewing orders. Sort of. They definitely cover the Jackass movie and Dragonball Z. We're podcasting at Celebration!!! Our stage show will be Monday, April 15th at 2:00. James, Johnny, Kat and Pranks will all be there. James and Pranks will also be at Coffee with Kenobi's meetup on Saturday, April 13th at 7:30 at the Arc Bar at the Hyatt-Regency McCormick Place. Besides that, we'll be walking around the show all four days. If you'd like to come say hi, just @roguetldr or @NTMtPods on Twitter! James is @OneShotRPG, Johnny is @JohnnyInBriefs, Kat is @kat_kuhl_ and Pranks is @RogueTLdr on Twitter. Opening and closing music by The Snowdens of Yesteryear. Logo by @JasonBaesel. 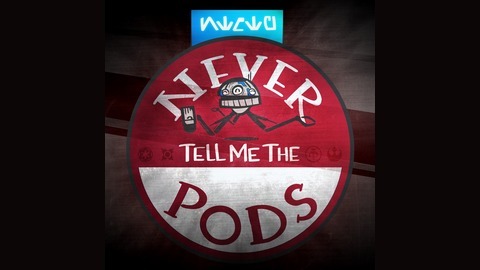 Send questions, comments, and tips to @NTMtPods on Twitter or at nevertellmethepods@gmail.com. 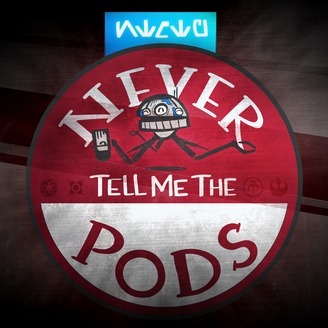 Our store is at https://www.redbubble.com/people/ntmtpods Our Spacebook page is https://www.facebook.com/nevertellmethepods. Our instagram page is at https://www.instagram.com/nevertellmethepods.